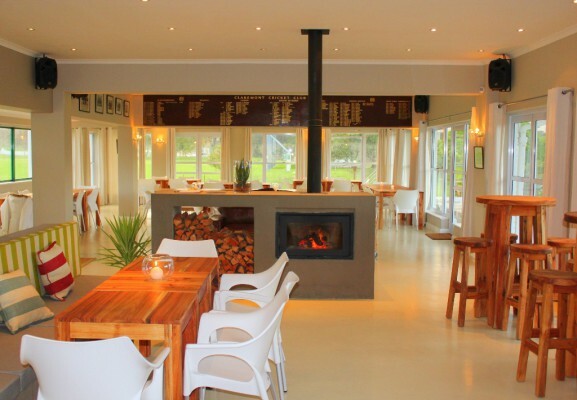 The conveniently located Claremont Cricket Club has recently opened their clubhouse to provide a family-style eatery, with spectacular views of Table Mountain. The Clubhouse is an ideal venue for unwinding with friends and family. Sports fans can watch games on the television when there's no live action on the fields outside, while choosing from a great variety of food and drinks which include wholesome choices from the menu’s seasonal mix of ingredients and flavours. When the sun is shining you'll be able to enjoy the spectacular scenery and dine al fresco on the wooden deck with the lighter, fresh summer menu available. In the chilly winter months you can get cosy near the fireplace while enjoying hearty soups, tender lamb shank, coq au vin or the signature Clubhouse burger. Children are more than welcome at the Clubhouse and parents can rest assured that they will be entertained while they relax over their meal and drinks. They will be able to run freely and play sport on the cricket fields or watch videos in the movie room. The special kids’ menu includes favourites such as fish and chips, burgers, pizzas and spaghetti & meatballs, finished off with Mini Magnum or King Cone treats. 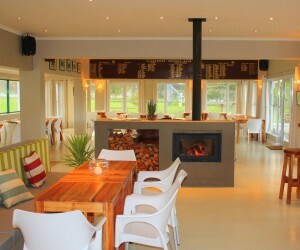 The Clubhouse is also an ideal venue for hosting functions with its stylish décor, indoor-outdoor flow and menu options.